Can you imagine how all the snowflakes will meltdown if the GOP gained Senate seats? That would be beyond glorious. They would become completely unhinged. If elections were held today Democrats would lose at least five Senate seats according to a recent poll by SurveyMonkey. These Democrats are in big trouble come November. Claire McCaskill has consistently voted with coastal elites and against the people of Missouri. It’s doubtful she’ll be able to squeak a win out this year as her Democrat party becomes more and more like the Marxists in Venezuela by the day. And this was not a conservative poll — so it’s much worse than they are reporting. Read more at TGP. Five Senate Democrats trail their GOP challengers and would lose their bids for reelection were the 2018 midterms held today, according to polls from SurveyMonkey. New polls published Thursday morning in Axios show Sens. 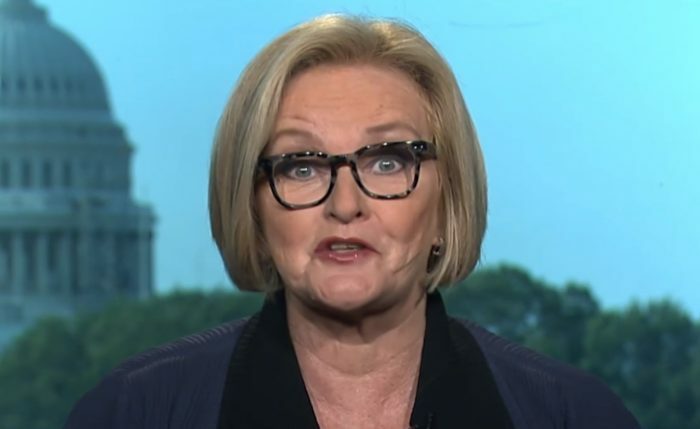 Claire McCaskill (D-Mo. ), Jon Tester (D-Mont. ), Joe Manchin (D-W.Va.), Joe Donnelly (D-Ind. ), and Heidi Heitkamp (D-N.D.) would all lose reelection to GOP challengers if voters were heading to the polls this week. With the exception of McCaskill, who is squaring off against Missouri Attorney General Josh Hawley (R), the senators were polled against generic, unnamed GOP challengers. President Trump’s approval rating hovers above 50 percent in those states, all states he won in 2016, while the five Democrats all suffer from approval ratings below the 50 percent line. This about the BEST NEWS I’ve heard when it comes to the Mid-Term elections……..PLEASE Lord may this come TRUE! !